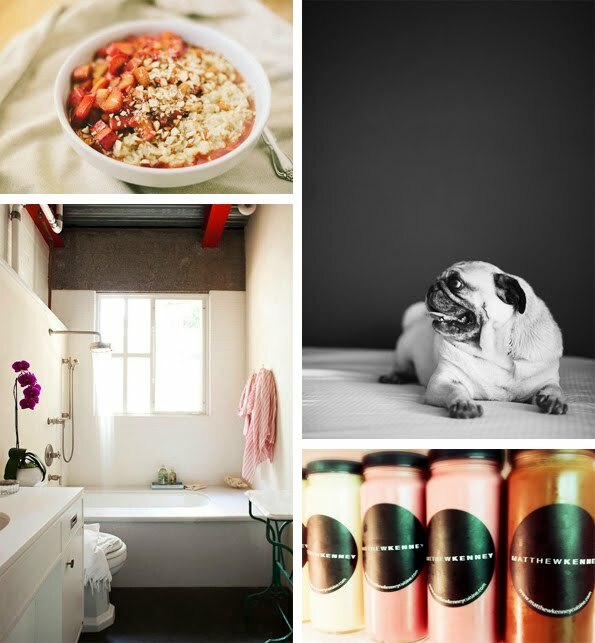 Some recently pinned food & inspiration: rhubarb oatmeal, cute pup, almond milk, serene bath (via). I want to take a bubble bath and read a book in that pretty bathroom! That pug is too cute! An dI love that bathroom. So serene. xoxoxo! :) Thank you, Alli!